Home › Conferences › And the DCS Drawing Winners Are…..
And the DCS Drawing Winners Are…..
On July 9th The National List invited readers who have never attended the Debt Connection Symposium & Expo to enter our drawing for a Free registration—a $1295 value! 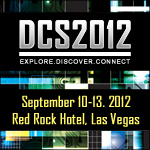 Today two lucky winners are very happy to be going to DCS at the Red Rock Hotel in Las Vegas, NV, Sept 10-13, 2012. The winners are: Ms. Dana Grubesic, of Kanter, Grubesic & Snyder, P.A., in Albuquerque, NM; and Mr. Brian M. Cloud, of Cloud & Tidwell, LLC, in Birmingham, AL. Thanks to all those who entered the drawing. We hope you are able to make it to the DCS Conference in spite of not being a winner this time! In addition to hearing presentations from a high-caliber faculty, a key ingredient of the Debt Connection Symposium & Expo is to have an opportunity to meet peers and other industry professionals, as well as finding new products and services that might make your job easier and more productive. We encourage anyone who attends to send us a blog post sharing your experience at the Conference and what you learned that would be of interest to others in the Credit & Collections Industry. Kanter, Grubesic & Snyder, P.A. 1625 Richard Arrington Jr. Blvd S.
‹ Take 1 UBE to be licensed in 10–or more–states?